The French versus English schooling debate rages on to this day. My parents proposed a happy medium: French elementary and secondary schooling followed by higher education in English. 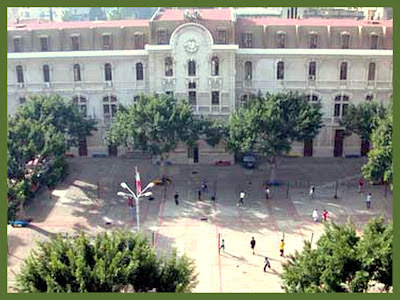 So, I began with French at the Collège du Sacré-Coeur in Gemmayzé and finished with English at the American University of Beirut (AUB) in Ras Beirut. We lived on Mohammed el-Hout Street in Ras el-Nabeh all through my secondary education. Riyad as-Solh, Lebanon’s first prime minister and independence hero, who was assassinated in Amman, Jordan, in July 1951, lived within 200 yards. So did a brother of Beirut port’s mooring master Radwan Baltaji, who rescued crew and passengers of French liner Champollion after it ran aground off the Beirut coast in December 1952. Our three households were the chief customers of a modest grocery across the street. For some years, getting to school in Gemmayzé from Ras el-Nabeh was fun, great fun indeed. Classes at the Sacré-Coeur started at 7:30. But I set off from home at 6:00. That gave me a 15-minute window to chitchat, link fingers or hold hands in the building’s entranceway with a sweetie who lived on the floor below. Her school bus picked her up not later than 6:20. I had an hour left to get to the Collège on time, starting with a brisk seven- or eight-minute walk to Ariss tramway station. The tramline from Ariss to Beirut’s commercial center, Bourj or Martyrs’ Square, went first through Basta al-Fawka, or Upper Basta. The marker there was a blue-painted coffeehouse opposite Basta Police Station. The coffeehouse was renowned for a hakawati (raconteur), who recounted every night the heroic deeds of pre-Islamic Arab warrior Antar. Then came Basta at-Tahta, or Lower Basta, which boasted a roomy mosque and a cluster of shops that sold handmade furniture. Next on the tramway route was a sizable Moslem cemetery, Bashoura. Two-way tram and car traffic alongside Bashoura usually stopped just before or after Moslem noon or afternoon prayer times. That was when funeral processions to the mosque or cemetery took place. The custom was for seated tram passengers to stand up as a sign of respect for the dead when a procession passed by. Drivers stepped out of their cars as well. And you knew if the deceased was male or female from whether a tarboush (fez) or a headscarf topped the coffin. 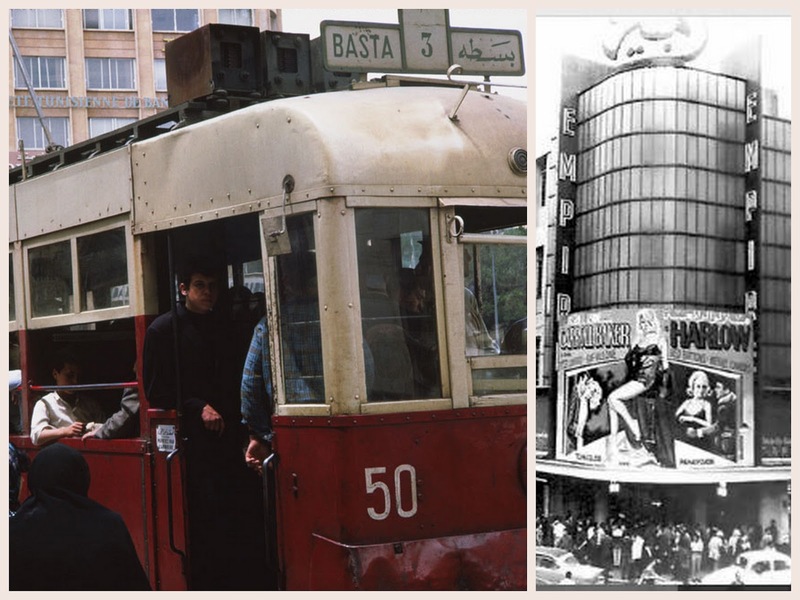 From Bashoura heading to Martyrs’ Square, the tramcar went past the landmark Kazaz (glass) Café. The café was packed at all hours with customers puffing at shishas, sipping tea or coffee, or playing cards, backgammon or dominoes. I valued Empire because it gave students half-price tickets for afternoon shows. But what I resented in movie houses then was the mixed audience reaction to the Lebanese national anthem at curtain openings. Most in the audience stood up when the anthem was played, but a good number, still grappling with dissociation from Syria, remained seated. After Empire Cinema, the stroll took me past alleyways ahead of the school’s main gate that led to Beirut’s now-defunct Red-Light District. The Red-Light District and Gemmayzé were associated then with Lebanese serial killer Victor Hanna Awwad, who was hanged in January 1949. He reportedly filled jute sacks at a coal shop in Gemmayzé and preyed on some of his victims in the Red-Light District. In my six years at the Sacré-Coeur, I don’t remember having once missed entering the classroom at the strike of 7:30. My grades were outstanding throughout my six years there and I secured my Brevet and Baccalauréat diplomas comfortably. Chance camaraderie during my first term at the Sacré-Coeur molded a key phase of my life starting age 13. Early on in the term, I occasionally practiced roller-skating in the school courtyard with Louis, a French student colleague whose surname escapes me. He was a year older and one class higher. He was also taller and much better built. 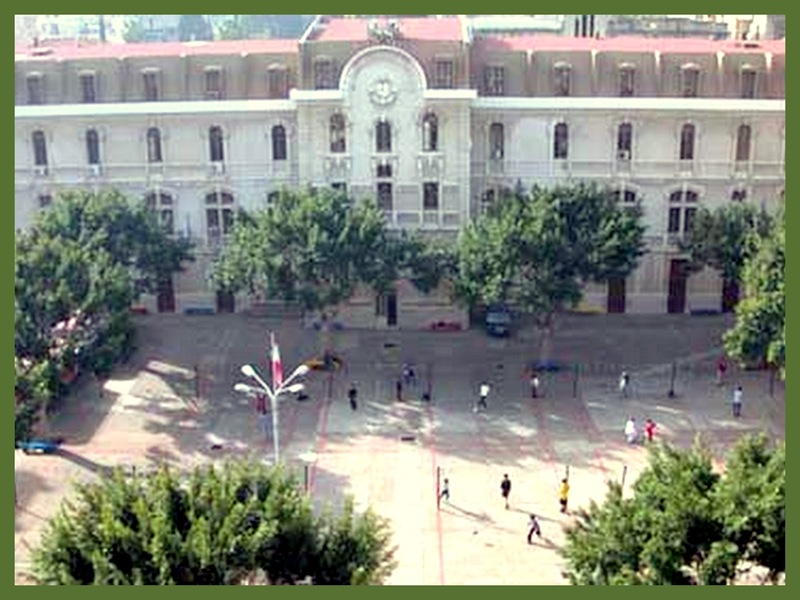 On leaving school one afternoon, Louis told me he was heading to the nearby Cercle de la Jeunesse Catholique (CJC) for a quick workout at “La salle de culture physique.” He meant at “the physical education hall” -- or fitness gym in today’s language. He asked me if I wanted to go with him there. I said yes spontaneously and off we went. The only fitness training I knew then was a twice weekly “cours de gymnastique” for students at the Collège. The collective sessions focused on stretching, breathing and muscle strengthening and relaxing movements directed by a former firefighter. The CJC turned out to be a sizable, mixed membership club. It had tennis courts, table tennis tables and volleyball and basketball courts plus a proper gym subleased to a fitness guru and professional bodybuilder, Elie David (pronounced Daveed). The gym was decently equipped. It had a High Bar, Parallel Bars, Rings, a Climbing Rope, Weight Training Benches, Dumbbells and Barbells, Weight Plates and a half dozen shower units. David’s impressive physique, conduct and refined approach to body training captured my imagination. I told Louis when we walked out of the CJC that I would seek the LL.10 monthly gym membership fee from my parents in the evening.